It can be really demanding to prepare content for your website. Usually, you need to have content strategy and plan that includes content to post for the next month at least. 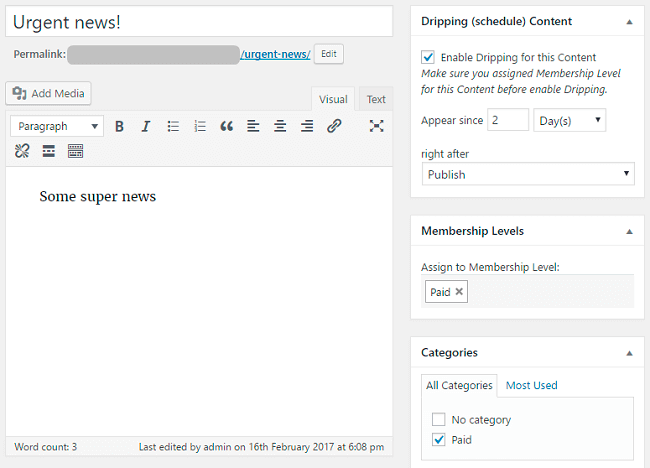 So Dripping Content feature is a very useful tool for a webmaster who know already what content and when to be post. Enable Dripping Content for post/page. Set it to Appear since X minutes / days / weeks / mounth / years. Right after Publish / User registration / Level purchace (can be with registration). 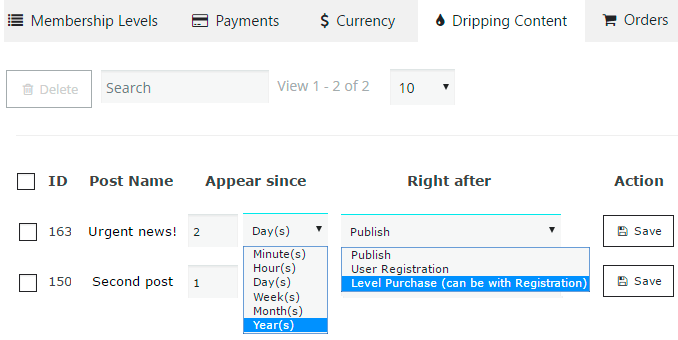 Assign to Membership Level – select one or several Membership levels. Category – or you can choose one or several categories for your post/page, which are included to Membership levels. In this case it will automatically activate all needed Membership levels for this post/page.